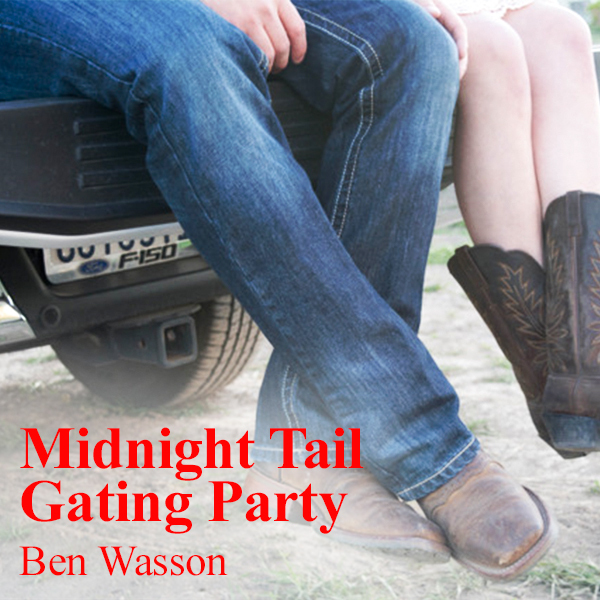 I can’t imagine anything more fun than having the volume of your pickup radio turned up good and high and dancing in the moonlight with your favorite girl – to Midnight Tail Gating Party! Life was meant to be enjoyed! Special tribute to the memory my old friend and great guitarist / producer, Tommy Allsup. He will forever be remembered, when as a young man, lost the toss of a fifty cent piece to Ritchie Valens, one cold snowy New Years night in Clear Lake, Iowa. 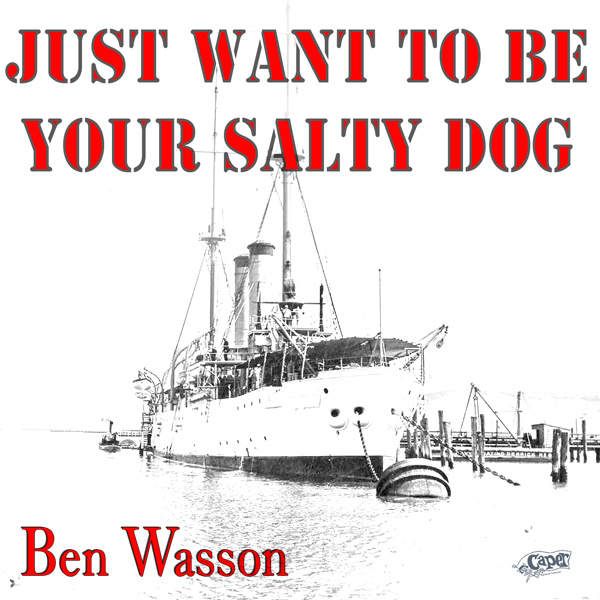 He always wore a Stetson hat, pressed shirt, pressed Levi’s, and shined boots for a recording session. He was so revered, all the musicians stood up when he walked in. Also, to the memory of one of Nashville’s greatest drummers of all time, Tommy Wells. Terrifically talented and good person through and through. The only drummer I ever played with, who stopped the session, to go outside to his pickup van and select a particular drum, he thought would better fit the song. It was a privilege and honor to have had them both with me, on this recording. Midnight Tail Gating Party was a fun song everyone on the session enjoyed. When Tommy Wells gave it that final drum lick at the end – everyone smiled and laughed knowing they had done a good thing! That’s the way I’ll always remember them! 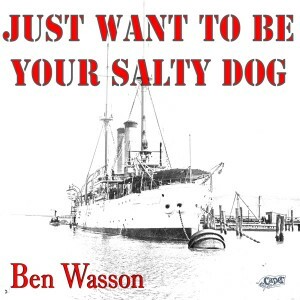 Nashville’s well known music lady, Judy Rodman, was at the helm as producer on this one. She brought in Mike Chapman as session leader. Mike’s one of the best bass men I’ve ever played with – and he’s played for, as well as produced, major artists himself. I was most proud to serve on that great ship… and most proud to serve our great country! Hope you enjoy the song – you can tell by the music, the guys on the session had fun playing it. So did I! Just before sitting down to the keyboard a moment ago, I heard the melody on t.v. of “Everyday”, playing as the musical background for a new commercial. Norman Petty and Buddy Holly created that song over a half century ago, and their work was so good……it’s still being played today. I vividly recall pulling into the Norman Petty Studio in Clovis, all those years ago, and seeing a ’56 Caddy parked out front. Everyone knew that Buddy drove a ’56 Cad (I was driving ’55 T-Bird). While I was waiting outside Norman’s office to present some new material – I watched as he and Buddy negotiated away whatever it was they were discussing. To have been sitting just a few feet away from two world acclaimed legends…… is just as awesome now, as it was back then! 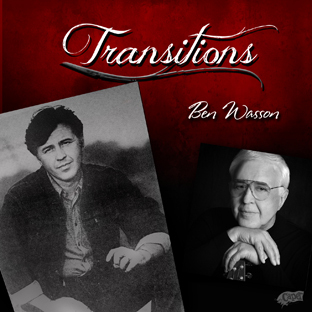 Everyone in their lifetime goes through various transitions. These are some of mine. 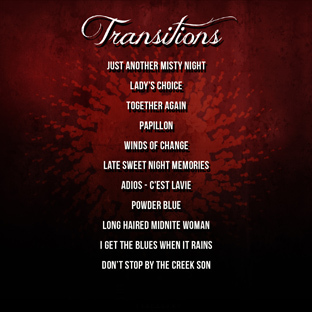 From Rockabililly to country to Ode to Baby Boomers, Transitions is a lined with a little country, 60’s rock, and the spirit of rockabillly.